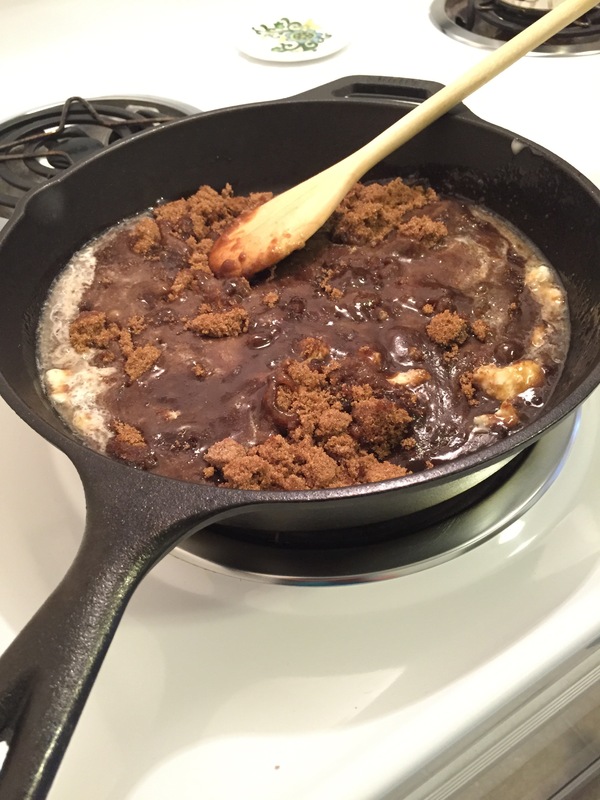 It all started with a solid block of brown sugar. 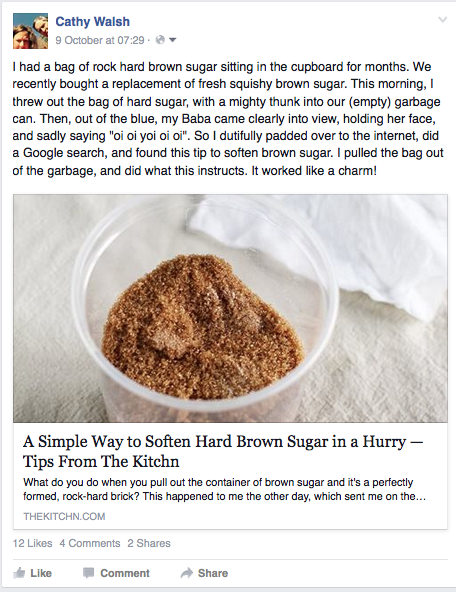 Here’s a link to the Kitchn’s site to read the article, A Simple Way to Soften Hard Brown Sugar in a Hurry. 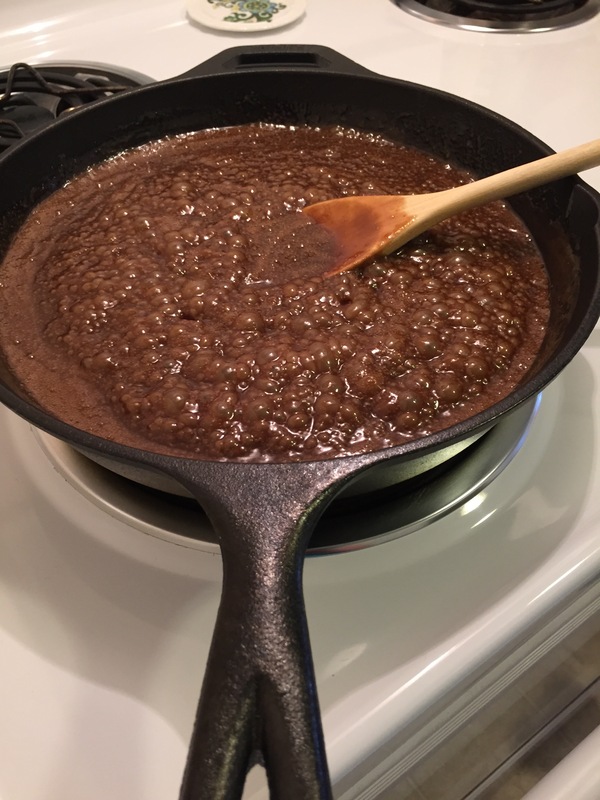 A few spoons of the softened brown sugar were used for our morning bowls of oatmeal. You see, it’s getting chilly outside, and when the weather changes, we have the urge to eat hot, fortifying breakfasts like porridge…. and sweet things…. Which brings us to penuche. With having learned how to soften our old bag of brown sugar, we now had just shy of 2 kg of brown sugar. 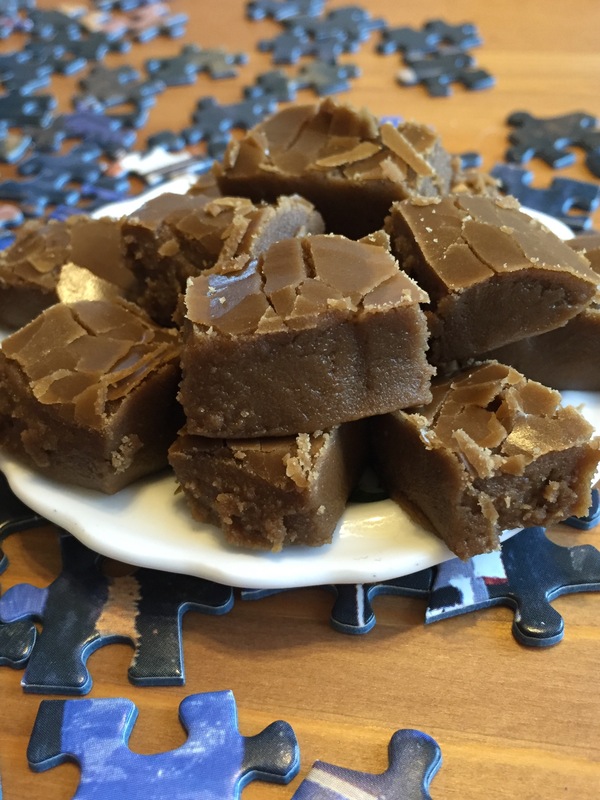 Friend Darlene mentioned on my post how her family uses up their sugar by making penuche (can’t pronounce it? think Italian, and say pannuchi! Say it loud and joyfully, with open hand gestures, tossing your head to one side). Armed with Darlene’s family recipe, and a few internet searches gathered around me, I set out to make a batch of penuche. 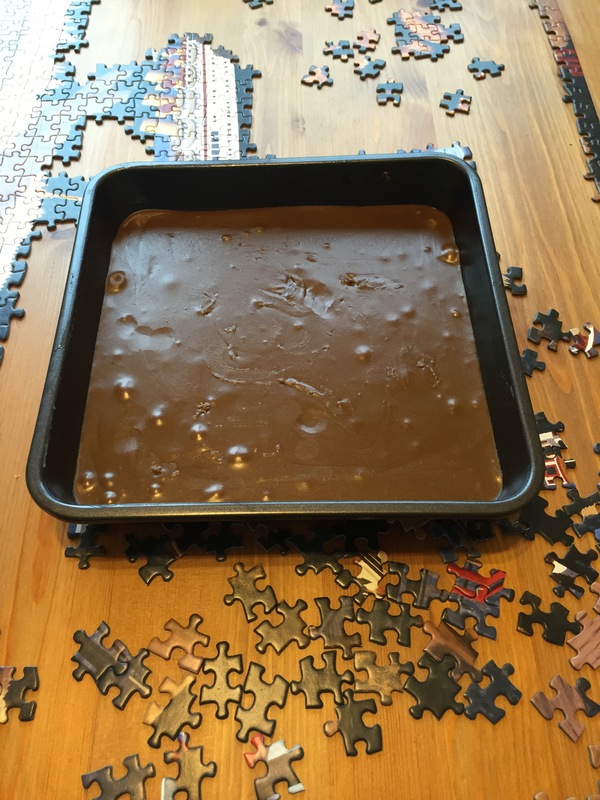 And no better day to make penuche, when it’s blustering outside, and my husband has become linked at a molecular level to the television to watch Ireland beat France (24-9) in the Rugby World Cup 2015. As Darlene promised, the recipe is easy. The most important thing I learned from Darlene, is that there is no steadfast rule about how to make it. I love recipes like that, because it takes the pressure off. Don’t have vanilla? Don’t put it in. Don’t have cream? Use evaporated milk. Lactose intolerant? Use lactose free 35% cream (yes this exists, and you cannot believe how excited I was to find it – even though I seem to be able tolerate regular cream just fine, why risk it?). The second most important thing I learned from Darlene is to use a cast iron pan. Honestly! I would have never thought of that, and used it today, and it worked great. Yes, there were moments I had concerns my boiling burbling mass of sugary goo would overflow the pan like lava and burn a hole to the floor below us, but that did not happen! The internet will tell you different things. For instance, add white sugar, corn syrup, cream of tartar, nuts, less butter, more butter, less sugar, more sugar, no vanilla, more vanilla…. go with whatever you like. Put your butter, cream, sugar and salt in a pot / pan on the stove. 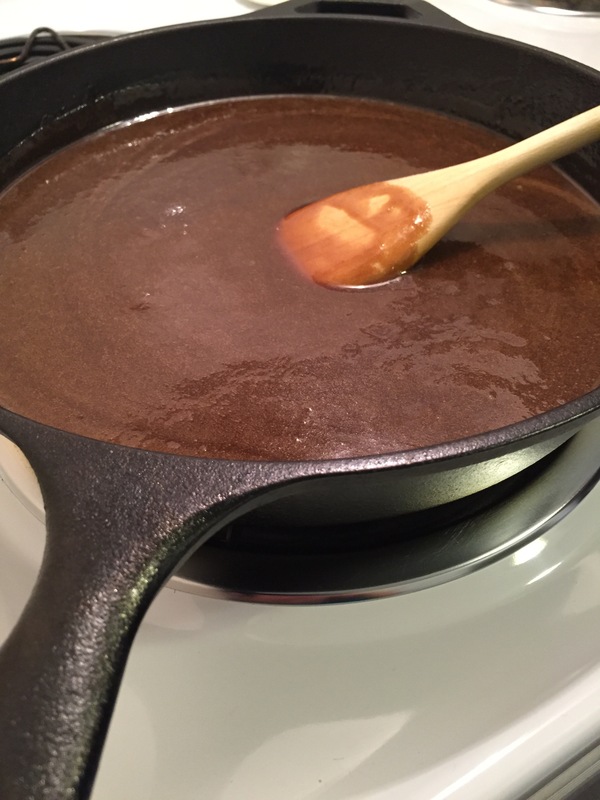 When this occurs, then carefully remove the pan, and pour the molten mass into a heat proof bowl, add your vanilla if you are adding vanilla (or nuts, or whatever) and stir. Stir some more. 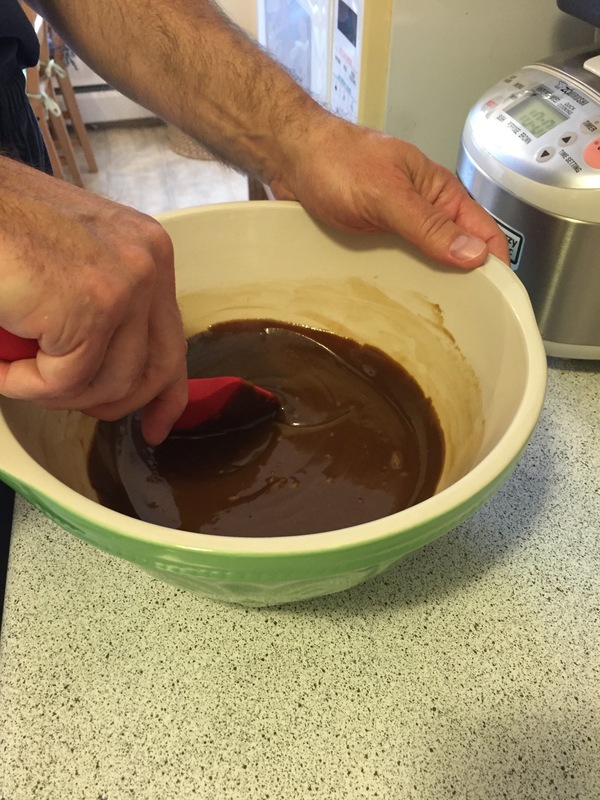 Keep stirring….. no a little more, keep going… Stir for about 15 minutes, until the stuff thickens and loses its gloss. Then pour out into a buttered (or parchment lined pan). Penuche is sweet and delicious. It is also used to ice cakes, but I am of the camp that thinks cake is overrated. Let’s get right to the icing!